Lambeth the Un- Cooperative Council | Has Lambeth Council messed up your life too? Has Lambeth Council messed up your life too? This is 19 Lillieshall Road, SW4 0LN. Lambeth Council forced out the long-term housing co-operative residents and then sold the place. It was empty for more than a year before work started on it. We hear an overseas investor purchased it, sight unseen. This is a grade 2 listed building, both the interior and exterior are supposed to be protected. A few days ago, fireplaces were seen being brought out of the house and being left in the street. Whilst trying to find the site foreman, it was clear that reproduction fireplaces had been put into the house while the originals had been removed. Lambeth Planning were contacted and messages left. Yesterday, what looked like a length of wooden wainscotting was seen being taken out and chucked into the back of a van. From what some of the contractors working on the house have said, most of the original features, joinery etc have been removed, even though refurbishment was possible. Modern goods have replaced the Georgian items that have been taken out. We know that some of the cottages have had old wood panelling removed, only to be replaced by MDF. This is common practise in Lillieshall Road at the moment. Lambeth Council ignores all complaints about the destruction being wrought on these listed buildings. The buyers are only interested in the profits they can make by ripping the guts out of our homes. Lambeth Council seems only too happy to let them do it. Rubbish. Re-Housing. Accept or you’re evicted! Scroll down and read the last 3 or 4 posts, take a look at the re-housing that’s been offered. Then come and resist the eviction. Wednesday. 11am. Lillieshall Road, SW4 0LP. Trace Newton is a 56 year old disabled woman, she has lived in one of the Lambeth Shortlife Housing Co-ops for more than 35 years. Despite Trace not having any suitable re-housing to go to, Lambeth Council is evicting her this Wednesday, 22nd April at 11.40am. Lambeth Council is leaving her without anywhere to live. Lambeth have offered re-housing but have ignored her disabilities and chronic ill-health, the re-housing is completely unsuitable. How can Lambeth Council imagine that throwing a disabled woman out of the home she’s lived in for 35 years, is somehow in the public interest? It’s certainly not ‘cooperative’. An appeal was applied for after losing the possession trial, but rather than respecting this, as many solicitors would, Lambeth’s solicitors forged ahead and got an eviction order. The appeal is still being processed. 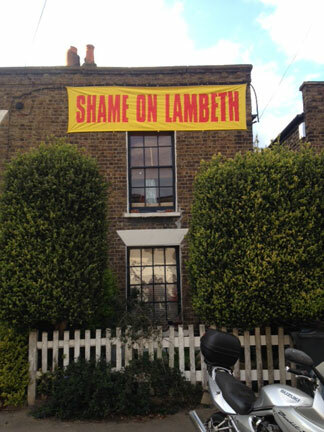 The behaviour of Lambeth Council’s Housing Department, since 2009, has been malicious, vindictive and dishonest towards the borough’s Housing Co-ops. The eviction of Trace is just more of the same. A loud and immovable Eviction Resistance has been called. Lots of support is coming in from Lambeth United Housing Co-op; Lambeth Housing Activists; HASL (Housing Action Southwark & Lambeth) and Unite Community. Members of the Raincoats, The Thompson Twins, The Slits and KLF will be here to stop the bailiffs, as will Maggi Hambling (a nationally treasured artist) and Kate Hoey (one of the few MPs who actually means what she says). Hopefully Gulnar Hasnain, the Vauxhall Green Party candidate; Jonathan Bartley Green candidate for Streatham and Scott Ainsley, Lambeth Green councillor will also be here, adding to the political outcry against Lambeth Council’s eviction of Housing Co-ops. Please come if you can, send a message to Lambeth – Stop Evicting Ordinary People, Stop Evicting Housing Co-ops, Stop Selling Our Homes! Meet at 11am on Wednesday 22nd April, Lillieshall Road, SW4 0LP. All support appreciated. Please publicise as far and as wide as possible! 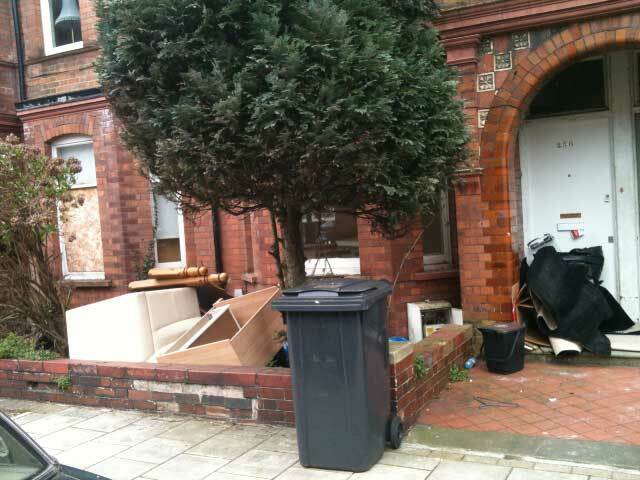 This is the Barcombe Avenue property that Lambeth are offering as re-housing to Trace Newton. Because she declined the offer, she’s being evicted from her current home on Wednesday. The home that she’s lived in, and lovingly maintained, for over 35 years. Lambeth redecorated inside, but since it doesn’t appear they’ve made any external repairs, then all the work inside will soon be wasted. A few weeks after redecoration, damp stains were seen on the newly painted walls in the kitchen/diner (which now, Lambeth has decreed) also has to treble as the living room, since re-designating the flat from a 1 bed to a 2 bed property. 1. 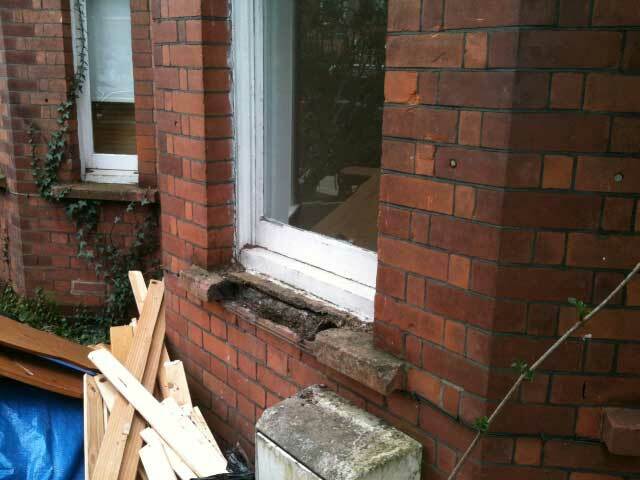 Read Lambeth Council’s own guidelines on repairs on planning. 3. What LBL Should Do vs What LBL Does. LBL’s own planning guidance seems to be completely ignored by the look of those photos. Water penetration happening due to lack of maintenance on rainwater goods (guttering to the layperson) – very evident on 252 above the window. Also evident on left corner of bay window on 250. Boarded up window just along, has been like that for years. It’s like that on 2012 google street view – must be causing rainwater ingress to the window surround and brickwork below. Window ledge crumbling and falling off on 250. Guidance about the style of front door allowed has clearly not been adhered to for 250 & next door neighbour. That’s all gleaned from only a brief glance at the front exterior – who knows what’s happening at the back! A few more points they’ve ignored from their very own guidance, obvious just from looking at those few pics. Imagine what all their other properties must be like! 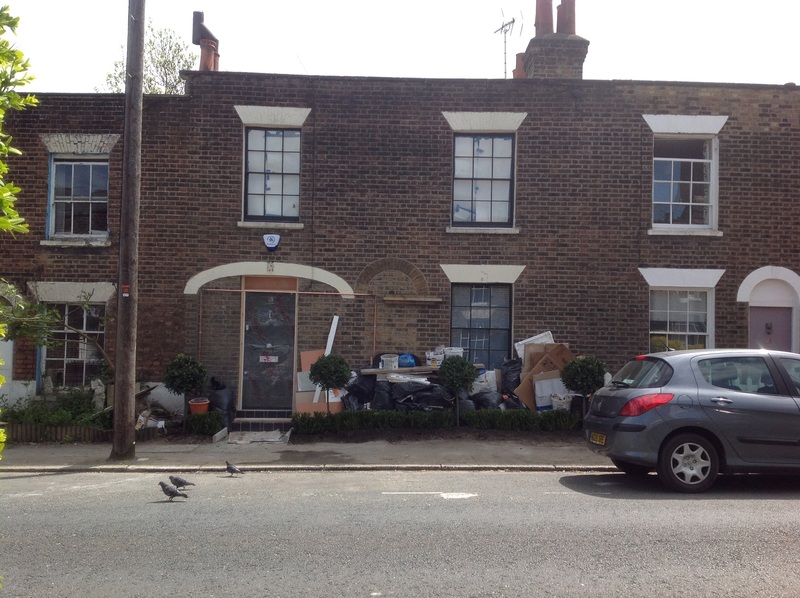 Lambeth Council have been trying to force Trace Newton, the woman they’re evicting next Wednesday, into an unsuitable flat in Barcombe Avenue, SW2 for almost 2 years. Read about this fiasco here. Lambeth’s own Social Worker said that if she moved into the flat they want her to go to, Lambeth will have to, themselves, replace the care and support she gets from her friends and her partner/carer. Yeah, of course that’s going to work, not. Her current home has 2 bedrooms, it’s necessary because nobody’s able to sleep otherwise, but Lambeth disputed it was needed. When the Social Worker submitted her report, describing Trace as being in need of ‘substantial care’, Lambeth Council suddenly re-designated the 1 bed flat as a 2 bed flat, deciding that, now a 2nd bedroom was actually quite handy, a living room wasn’t necessary instead. Along with the incredibly appearing 2nd bedroom comes ‘Bedroom Tax’, pretty nifty piece of work, seeing as it’s really a living room. What we’d like to know is, are all the 1 bed flats in Leigham Court Estate being similarly re-designated? Or is Trace just plain lucky?! So, is this a new policy at Lambeth, no living rooms = more bedrooms? Despite Trace not having any suitable re-housing to go to, Lambeth Council is evicting her next Wednesday, 22nd April at 11.40am. Lambeth are leaving her without anywhere to live. The behaviour of Lambeth Council’s Housing Department, since 2010/2011, has been malicious, vindictive and dishonest. The eviction of Trace is more of the same. A loud and immovable Eviction Resistance has been called. Kate Hoey will be there, standing side by side with other supporters. Steve Drake, of Short Stock Housing Co-op in Clapham North and a founding member of Lambeth United Housing Co-op, died in the early hours of Monday morning, 1st December 2014. Last week, on the 1st anniversary of the official complaint against Lambeth cooperative council’s evictions of long established Housing Co-ops, a second complaint was officially made, against all the borough’s Co-operative Party councillors. The Co-operative Party has failed to deal with the first complaint at all, Karin Christiansen, John Boyle and Joe Fortune try to smooth things over when asked for progress updates, they say how complicated the situation is, then they brush it back under the carpet again. The second complaint, individually naming each Lambeth Co-op Party councillor, hasn’t even been acknowledged, let alone been side-lined, yet. Today is the 1st anniversary of the submission of my formal complaint to the Co-operative Party regarding the destruction of Housing Co-ops in Lambeth. However, over the past year, my complaint seems to have been, essentially, ignored (apart from unsubstantiated assurances provided in response to my enquiries, that the complaint was being dealt with). There has not been any formal acknowledgement or report on the progress of my complaint, nor any resolution. I am still waiting for something to come of my making a Formal Complaint a year ago. Is the Co-operative Party sticking it’s head in the sand, again? Lambeth United Housing Co-operative, the umbrella body for the co-op households still in Lambeth, has contacted all the councillors at Lambeth council but has received neither acknowledgment nor support from any of the Co-operative Party members, regarding the ongoing recall of homes, dispersal of communities and serious health and social implications of Lambeth council’s actions. Mr Joe Fortune, the chair of the Lambeth branch of the Co-operative Party, did call in and have a chat with me one evening at the beginning of the year, though this was unhelpful in any practical way. Joe’s interest seemed to be more about the Politics (capital ‘P’) of the Co-operative movement, rather than in small co-operative organisations and the grass-roots members of co-operatives. If Joe’s position is standard, this may explain the seeming lack of interest on the Co-operative Party’s part, regarding the handling of the complaint I submitted – the Co-operative Party is not concerned with real world co-operatives, simply in being part of the ‘Westminster bubble’. I requested a full list of all the Lambeth Co-op Party councillors from Joe, but he could only tell me that Martin Tiedemann and Florence Nosegbe were Co-op Party members… obviously this was a somewhat desultory effort to provide the information I requested. Doesn’t the chair of the Lambeth branch of the Party have access to this info, or was he simply trying to make things difficult for me? Eventually I realised that a councillor by councillor trawl through the Lambeth council website provided the names of each Co-op Party member. Please pass the list to Joe, for his future reference. In view of Mr Fortune’s un-helpfulness, and the total absence of support from any Co-operative Party councillors in Lambeth, I am now submitting an additional complaint to the Party, against each individual Lambeth Co-op Party councillor. I would like the Co-operative Party to suspend the individuals named below, pending a formal enquiry, for their actions against the Housing Co-ops in the Borough, and I would like the Co-operative Party to publicly support Lambeth United Housing Co-operative and the remaining Housing Co-op residents. Councillor Christopher Wellbelove, in particular, has behaved dishonourably. In the run-up to the last council elections, Cllr Wellbelove (along with two other prospective Clapham Town candidates, O’Malley and Haselden) specifically pledged support for our Co-ops. When all three won election, both he and Cllr Nigel Haselden then turned around and voted in support of the eviction of the Co-ops. Cllr Helen O’Malley stood by her promise to us, only to find herself deselected by the Labour Party. Labour candidate Linda Bray was then parachuted into O’Malley’s place on the election sheet. It seems, in Lambeth anyway, if you’re in the Labour Party and say what you mean, you’re axed. Cllr Wellbelove’s behaviour was cynical in the extreme (as was Haselden’s, but he’s not in the Co-op Party). My new complaint is much the same as the ongoing complaint against Peter Robbins, Lib Peck and Steve Reed, namely that Co-operative councillors in Lambeth are unquestioningly supporting, and actively participating in, the wholesale destruction of co-operative communities involving the displacement of many long-term co-operators and the disintegration of distinct Housing Co-ops and communities that have evolved and developed in Lambeth since the mid 1970s. Lambeth council has waged a campaign of misinformation that laid the foundation for the recall of our homes, a process devoid of compassion, co-operation, consultation or vision. This process was begun when Lambeth was a Conservative/Lib Dem led council, but it has been carried forward by the current Labour administration. This immediately raises questions of ideology and motivation. Ironically, our Housing Co-ops are now supported by the Lib-Dem and Tory Parties in the borough, they acknowledge the importance of our communities and recognise the unfair treatment meted out to us. As a group, ‘Shortlife’ (though 40 years is hardly a ‘short life’, is it?) Housing Co-ops have been treated with contempt by Lambeth council for many years, so it is ironic that it’s most caustic behaviour has come about since it’s called itself ‘the cooperative council’. I am a co-operator because I live in a Housing Co-op property. I have regularly served as an officer of my co-op and I believe that the Housing Co-ops we developed over the past four decades, throughout Lambeth, should be recognised as templates for successful, self-help co-operative community living in urban areas. However, as soon as I am evicted, I am, by definition, no longer a co-operator. The actions of Lib Peck, Peter Robbins and Steve Reed, along with the support of the named councillors are forcing me and my fellow co-operators out of the Co-operative movement. How can the above named members of the Co-operative Party, supposedly my co-operative colleagues, reconcile their actions on behalf of Lambeth council with the Aims and Principles they signed up to when they became Co-operative Party members? The actions that are demanded of Co-operative Party members who hold office in Lambeth Council are not consistent with the Constitution of the Co-operative Party, and Co-operative Party members should not be authorising or undertaking actions which are inherently destructive to other Co-operative groups. The behaviour of the current officers at Lambeth council is bringing the term ‘co-operative’ (or ‘cooperative’, as Lambeth spells it) into disrepute. Furthermore, their intimidatory and bureaucratic behaviour, aligned as they are, individually, with the Co-operative Party, sullies the reputation of the Co-operative Party itself. There has been a complete lack of consultation with co-op residents, Local Authority ownership of the co-op managed properties is being lost to the private sector and ‘Shortlife’ co-operators have been treated with disdain and contempt. Personally, my health is extremely fragile at the moment, the stress of the the situation is doing untold long-term damage to my wellbeing. I have been told that I am at very high risk of suffering a stroke or heart attack, should I have to go to court to defend possession of my home. My co-op colleague, SD (I can provide his details on request), of Short Stock Housing Co-op in Clapham North, suffered a heart attack and epileptic seizure just days before he was due in court to defend possession of his home. SD was in a coma for 2 months. He is now extremely disabled and in a residential facility with round-the-clock care. His life has been devastated, essentially as a result of the stress caused by Lambeth council’s recall of our homes and the brutal treatment we have been subjected to by the council. Many of the remaining co-op residents are disabled or elderly, and we are at risk of similar catastrophes. We count on our neighbours for support, we rely on each other. Lambeth council failed to undertake any sort of risk assessment of the effects that the recall would have on the people being evicted, the council had no idea what the ‘fallout’ would be. And even now, having been furnished with details of the terrible consequences of it’s actions, Lambeth council presses on with evictions and sales. Taking into account the case of SD, coupled with an understanding of the real-life stress and despair caused by the recall of our homes and the threats of eviction and consequent destruction of our essential support networks, the notion that any co-operative principle is being followed by the ‘cooperative council’ or by Co-operative Party councillors in Lambeth, is laughable. The named councillors have all supported the eviction of co-op residents to progress the sale of Local Authority properties. This action is detrimental to all the remaining ‘Shortlife’ housing co-op residents in Lambeth and, in wider terms, to the tens of thousands of citizens in Lambeth who are in need of social housing. I have specified, below, the core values and principles that I believe are being contravened by the Lambeth councillors named. Members contribute equitably to and democratically control, the capital of their co-operative. At least part of that capital is usually the common property of the co-operative. Members usually receive limited compensation, if any, on capital subscribed as a condition of membership. Members allocate surpluses for any or all of the following purposes: developing their co-operative, possibly by setting up reserves, part of which at least would be indivisible; benefiting members in proportion to their transactions with the co-operative; and supporting other activities approved by the membership. The purpose of the Party is to promote co-operative and mutual forms of economic, social and voluntary organisation, which are based on the principles of mutual ownership and democratic control and to support political action in pursuance of the Values and Principles of the Co-operative Movement in the UK and internationally as defined from time to time by the International Co-operative Alliance. The Party was created to serve the Co-operative Movement of the United Kingdom and it is committed to working in support of the aims of that Movement – Lambeth council, originally under the leadership of Steve Reed, now under the leadership of Lib Peck and with the assistance of Peter Robbins, has steadfastly refused to work with the long-established (and previously supported) Fully Mutual Housing Co-ops in the Borough of Lambeth. The Party is committed to working in co-operation with bodies representing the co-operative and mutual sector in the United Kingdom, in other countries and internationally to achieve their common goals – Lambeth council has refused to negotiate or enter into equitable or meaningful discussions with us, although they repeatedly say publicly that they have done so. In conducting its affairs, the Party shall respect the rights of everyone it deals with, as set out in the Charter of Fundamental Rights of the European Union – our communities are being destroyed, our health is being undermined by the actions of the council. The ‘recall’ process has been going on for almost 20 years! We have repeatedly been threatened with eviction, though, until recently, these threats were not actioned. The threats of eviction have constituted intimidatory behaviour for almost two decades. engaging, as principals or agents, in any other business, trade or activity which seems to the Party directly or indirectly in pursuit of its purpose – destroying long established co-ops is not part of the business of the Co-operative Party or it’s members. The Party may do anything which appears to it to be necessary or desirable in connection with its functions. 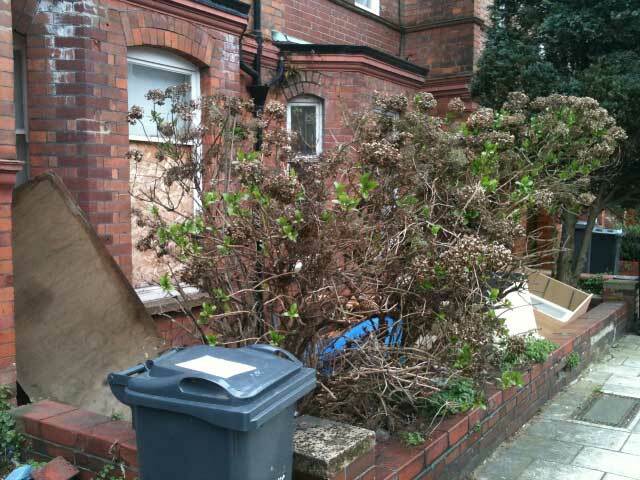 acquire and dispose of property – our homes are being disposed of, this reduces the stock of available social housing; adds hundreds of people to an already overwhelmed waiting-list and destroys urban Co-operative communities in Lambeth. Something that may be of interest to you is the fact that one of the Housing Co-op members threatened with eviction is a woman active in many ways within the Co-operative Movement. She is a descendant of one of the Rochdale Pioneers and a member for more than 20 years of the Woodcraft Folk, the co-operative youth organisation. Her co-operative beliefs guide what she does. This, I feel, sums up the despicable and inherently un-cooperative nature of Lambeth council and the Party members who are willing to act in an appallingly un-cooperative manner. Their treatment of the long-established and well-loved Housing Co-ops we’ve worked hard to build and maintain over decades, is contemptible. A new Housing Co-operative, Lambeth United Housing Co-operative, has been registered as a Fully Mutual Housing Co-op, made up of various Lambeth Housing Co-op residents who are still living in their homes and fighting against eviction by Lambeth council. We are fighting to establish more Co-operative housing in the Borough, in the face of Lambeth’s determination to extinguish Co-operative housing communities altogether. Oh yes! Finally! Clapham Town ward councillor, Nigel Haselden, has been pulled up for lying… by his arch nemesis Kate Hoey . Nigel ‘The Cadaver’ Haselden hates Hoey, why? Simple, she’s not a liar, but he is. Haselden lies to his constituents, lies to his friends and, really stupidly, lies to other members of his local Labour Party branch. He’s taken it a step too far this time, he lied about Kate Hoey, in public, and he’s been caught out, in public. Colleagues of mine attended a local Clapham Town branch meeting recently, and were shocked to repeatedly hear other members of the party telling Haselden to stop lying to them. Why was Haselden reselected as a candidate in the local elections while Helen O’Malley, a popular, honest, trustworthy councillor was deselected by the Lambeth Forum, the group that decides these things? Nigel Haselden, along with Cllr Christopher ‘The Grin’ Wellbelove, are two-faced Party line-toers, while O’Malley is a principled and honest person. In Lambeth, this very dirty business in Clapham Town ward tells you all you need to know about how Lib Peck’s morally bankrupt Lambeth council works.